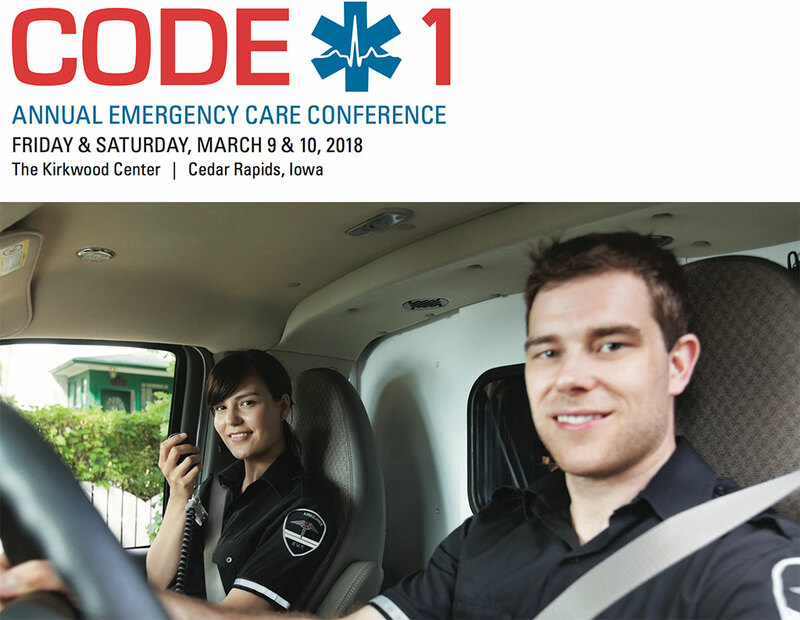 CEDAR RAPIDS, Iowa (March 5, 2018)-Kirkwood Community College’s annual Code 1 emergency care conference, March 9 – 10, will educate first responders and other emergency healthcare providers on various aspects of emergency patient care, policy-making, emergency readiness and system development. Code 1 has trained emergency medical technicians, firefighters, paramedics, nurses and law enforcement officials for more than 30 years. The conference provides seminars on diverse medical topics, while presenting up-to-date information on global issues and corresponding expectations for EMS. Kirkwood collaborates with Mercy Medical Center and Unity Point Healthcare – St. Luke’s to offer Emergency Medical Responder, EMT, Advanced EMT and two-year Paramedic degree programs in the seven-county region. As the regional center for EMS education, Kirkwood also maintains clinical agreements with agencies throughout eastern Iowa including hospital, ambulance services, fire departments and public safety agencies. Conference participants can attend one or both days. Lunch is included. To register and learn more about Code 1 visit www.kirkwood.edu/ce or call 319-398-1022. Times: On-site registration from 7 – 7:50 a.m. both days, program begins at 8 a.m.